Windows 7 has great integration with Windows Virtual PC. Windows 7 Professional, Enterprise and Ultimate also let you download and run a licensed Windows XP Mode virtual machine for those antiquated applications where it’s required. What’s great about Windows XP Mode is that it’s “ready-to-go,” providing near-seamless integration between your new desktop environment and the virtual machine. Using virtual machines on the desktop are a great way to test out new applications and system configurations without having the potential of messing up your own workflow. But, as an IT professional, there are numerous times where you most likely want to try running a 64-bit virtual machine and, unfortunately, Windows Virtual PC in its current state only supports 32-bit host OSes. One free solution is from the VirtualBox project. There are a number of other settings you can apply to your virtual machine to tailor it to your needs. You can set the boot device order, the number of processors to allocate, and whether or not to enable VT-x or AMD-V (if your processor supports it) virtualization enhancements. For your display adapter you can adjust the amount of video memory allocated and enable 2-D or 3-D acceleration. For storage you can choose floppy disk, IDE, SATA or SCSI controllers. You can mount ISO images with VirtualBox or pass through a DVD- or CD-ROM physical device to the virtual machine. For ISO images, the application handily maintains a list of your most recently used ISOs to ease repeated retrieval. If you choose to enable audio on your virtual machine, you can pick among a set of audio controllers and host audio drivers. In terms of your network connectivity, you can enable up to four network adapters. Each network adapter can be attached to your network stack via NAT, a bridged adapter, a host-only adapter, or even an internal network to the virtual machines. If you want, you can even specify the MAC addresses of your virtual adapters for testing. VirtualBox also supports serial ports and USB device pass through. To move data between your virtual machine and your desktop, you can enable one or more Shared Folders. To protect your own system, you can make the shares read-only. VirtualBox even allows you to connect to your virtual machine via an internal RDP server if you so choose, making remote connections simple. There’s also a simple Snapshot feature to quickly take images of your virtual machine at a point in time (like right before you test out that new application installer). Another nice feature of VIrtualBox is Pause, which lets you get resources back to your desktop (or another virtual machine) if you aren’t using the current instance. And like other virtualization packages, including Windows Virtual PC, you can also suspend your instance, giving you much faster access time to your virtual machine. There are two versions of the free VirtualBox software available for download. One is completely open source, but lacks the RDP server feature, USB support and USB over RDP support. So if you’re looking for an alternative virtualization product or need to run a 64-bit host OS on your Windows machine, you might want to take a look at the VirtualBox project as a potential candidate for your toolbox. Having quick, easy access to the hardware details of a machine you’re troubleshooting or tweaking can be invaluable. One such tool to help you get to the nitty-gritty is CPU-Z from CPUID.com. This free, handy tool gives you in-depth information about your CPU, caches, motherboard, memory and display devices. CPU-Z can be run without an installer, so you can easily drop the application onto a USB drive to carry with you to different machines along with your other troubleshooting and tweaking tools. The simple GUI is tabbed into sections. The CPU tab shows you detailed information about your system's processors including name, code name, family, model, socket, number of cores and threads, fabrication nanometers, and core voltage. It also shows you instruction sets supported, such as MMX, SSE and VT-x. 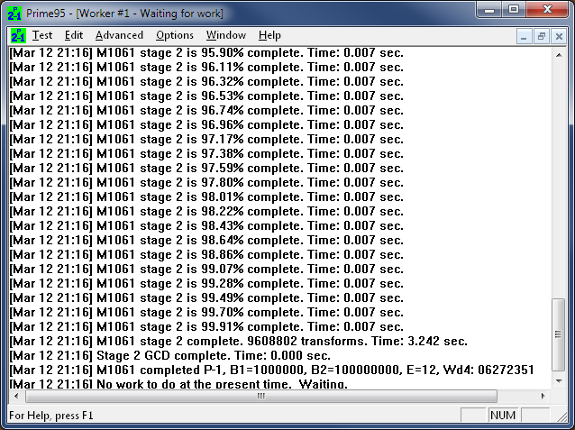 You'll also see here the core clock speed, bus speed, multipliers, and different cache size and layouts for the chip. The SPD, or serial presence detect tab, shows you—slot by slot—the memory module and timings details. You can see the module size, max bandwidth, manufacturer and part number as well as the CAS and voltage details of various operating frequencies of the memory stick if it supports it. The Graphics tab gives you more detail on your display devices, showing you GPU names, codenames, fabrication nanometers, revisions and memory size. In addition, you can see clock MHz of the GPU core, shaders and memory. Finally, the About tab lets you save all this handy information to a text or HTML report. And for you overclockers out there looking to brag, you can also post your results via the validation tool to the CPUID site. 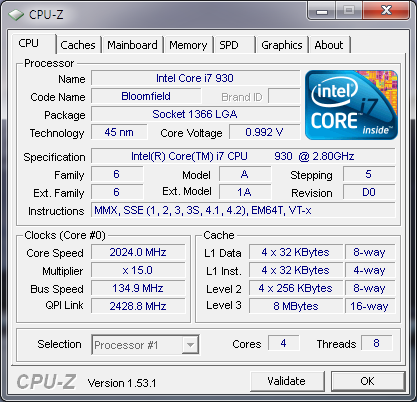 CPU-Z is available in both 32-bit and 64-bit editions. So whether you’re looking to overclock your water-cooled super beast of a machine or want detailed information at your fingertips fast, the free tool CPU-Z from CPUID.com might be the answer. If you’re looking to stress test a new system to ensure proper function under high CPU and memory usage, or if you’re overclocking your home system and want to ensure that your machine will remain stable under load, you might want to try out the free tool Prime95 to do the work for you. 2P-1. There are currently only 46 known Mersenne prime numbers. The Prime95 tool is open source and was developed by the Great Internet Mersenne Prime Search (or GIMPS) group. But for stress testing that new server or your home-brewed overclocked racer, you will want to use the Torture Test feature of Prime95. This test will continuously stress your CPU, memory, L1 and L2 caches, and—as a result—your system’s cooling efficiency. The test compares known values to calculated values and when they mismatch, you might have a problem. (If you are overclocking, you probably overexerted your hardware; if you are not, then you probably have a hardware issue. However, if the issue only appears under extremely heavy loads, you might be able to “live with it.”) Another great thing about Prime95 is that it’s well-known and well-used and there are number of forums out there to help you really tune the different tests to push your system to the limit. Builds of Prime95 are available for both 32 and 64 editions of Windows as well as various flavors of *nix. The next time you’re about to put a system “into the wild,” try giving it some load with the Prime95 tool and see if it’s up to snuff before you have to change that memory stick once it’s already deployed. Greg Steen is a technology professional, entrepreneur and enthusiast. He’s always on the hunt for new tools to help make operations, QA and development easier for the IT professional.